Diablo Paddlesports is the dream of two college buddies: Thomas Flemons and Jay Korbell. Lifetime outdoorsman and river rats who met their freshman year at Texas Tech University in Lubbock, they wanted a single watercraft that offered the benefits of both stand-up paddle board and kayaking. Their hands-on research, coupled with the expertise of consultant Tim Niemeyer of Wild Design, made their dream a reality. 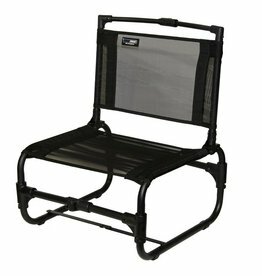 A remake of the original Travel Chair, the Aluminum Larry Chair is the ultimate seating compliment to the Adios, Amigo or, the Chupacabra.